On location for limousine dove release. With clients and wedding industry professionals requesting a unique service, prompted by the comedy movie ’21 Jump Street’, I jumped at the chance of creating and providing such a unique service. 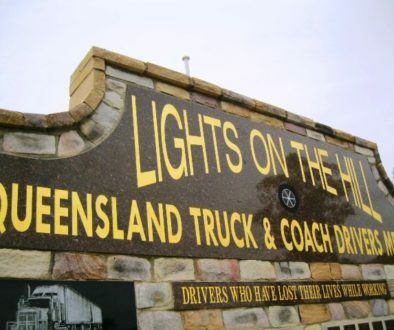 A number of classic car hire companies from the Sunshine Coast showed interest in the project and business idea. All very different in style, model, and design. We needed something that would be suitable for a Grade 12 formal party entrance and a bridal car entrance. On the day we were generously provided with the French rebuilt 1952 Citroen, named ‘The Princess’, supplied by Chauffeured Elegance. A unique feature about this vehicle is the door folds back flat against the body of the vehicle, which gave maximum viewing exposure of the birds. 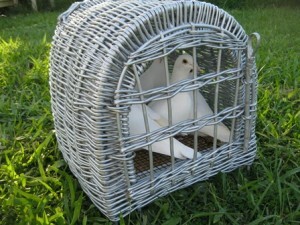 But before we could do the release, the birds needed new training methods, and equipment purchased. After 3 failed attempts at buying carriers suitable for releasing from inside a vehicle, we sourced a single training crate that could hold up to 7 doves, (the white plastic on the left in the image below) and commenced training from the owners sedan. This proved comical, as the birds have been only transported while inside a vehicle. Patience was exercised as the birds learned to trust, and realise their freedom with the open car door. 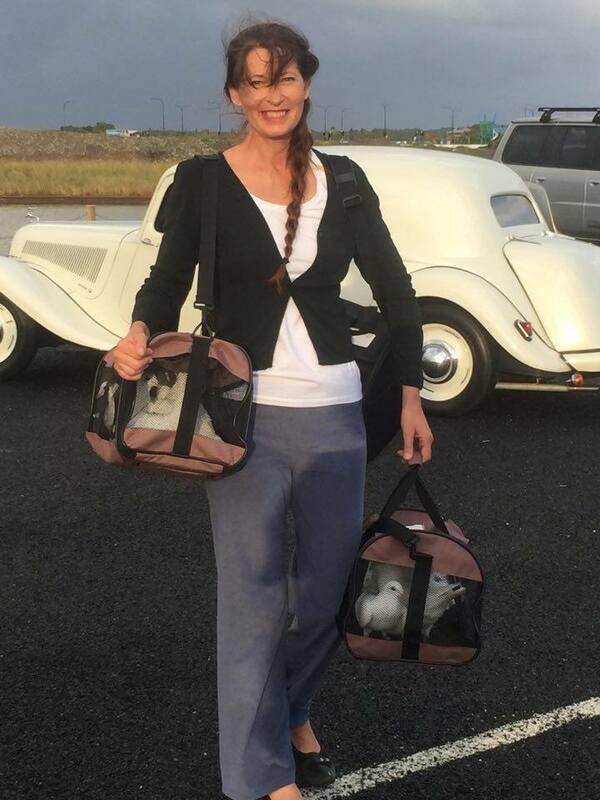 The day before the photo shoot, some new airline approved soft pet carriers arrived, and were trialled. These can be seen in the image above (on the right), but proved unsuitable to house the birds for a length of time. It rained all day at the location, but everyone involved was faithful in their commitment to the project, and the photo shoot went ahead minus the video equipment. 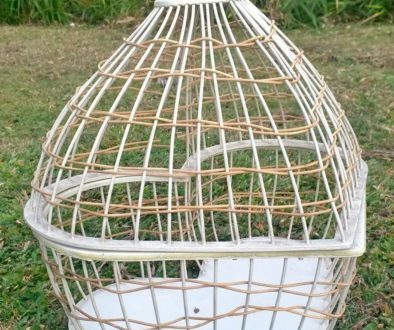 We imported 2 strong wicker pet carriers through Willow Souvenir, who made them attractive by painting them silver. Fitting them out with a floor liner to keep vehicles clean, a raised floor to keep birds clean and absorbent filling for hygiene purposes. These arrived well after the photo shoot date. Bride Model supplied by Luke Ballard (Photographer), and the photographer assistants. Sue from Simply Formal with last minute fittings. Eric & Narelle Greentree – Chauffeured Elegance. BEST WESTERN PLUS Oceanside Kawana Hotel for the use of a private room for model prep. Below is a video filmed on my digital camera, trialing the basket at home.